Exotic Print Maxi-Dress - Assorted Styles Only $21 Shipped! You are here: Home / Great Deals / Exotic Print Maxi-Dress – Assorted Styles Only $21 Shipped! 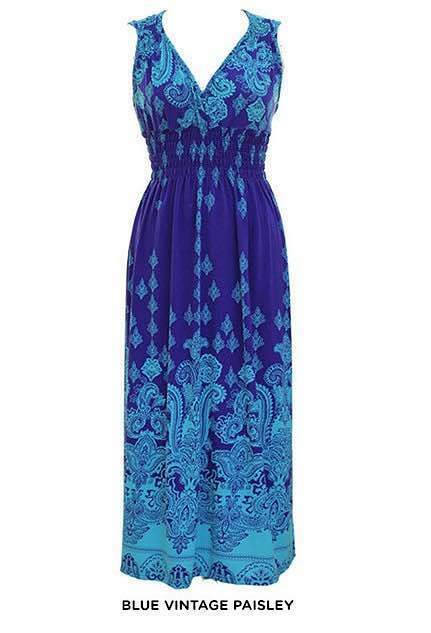 Exotic Print Maxi-Dress – Assorted Styles Only $21 Shipped! Going on Spring vacation and need some a little special to wear? This dress comes in 20 different prints and color combinations! The Exotic Print Maxi-Dress – Assorted Styles is Only $21 Shipped ($19 plus $2 flat shipping). This dress comes in 20 different prints and color combinations! On warm evenings wear it on its own with some cute flats or sandals. On cool evenings throw on a light sweater or jacket!